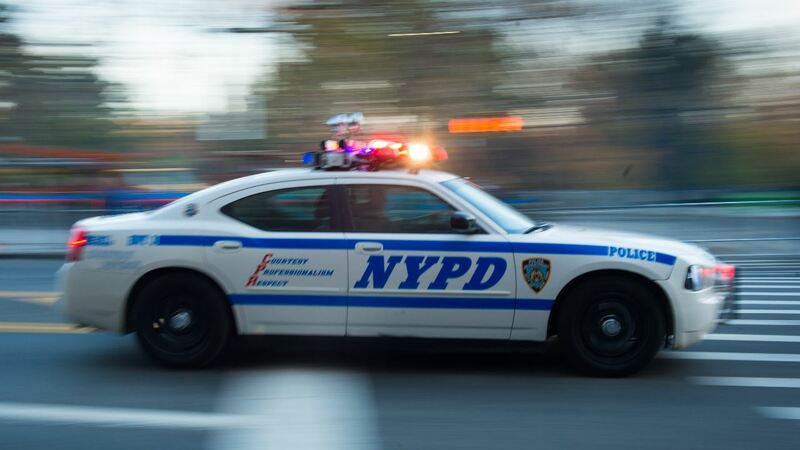 RICHMOND HILL, Staten Island (WABC) -- Two NYPD patrol cruisers caught fire while parked near a Staten Island police precinct early Wednesday morning, and authorities are investigating if the fires were intentionally set. A passerby notified officers inside the 120 Precinct on Richmond Terrace of two police cars on fire just before 4:30 a.m.
Officers ran outside and quickly extinguished the blaze. The windshield wiper on one of the cruisers sustained minimal damage, while the other vehicle did not appear damaged. Police say wooden matches were recovered from the scene, and investigators are looking into whether gasoline was used as an accelerant. A witness reported observing a teen, wearing blue, fleeing the location.